Step into Sostanza and it feels like you’ve traveled back a few decades or so. 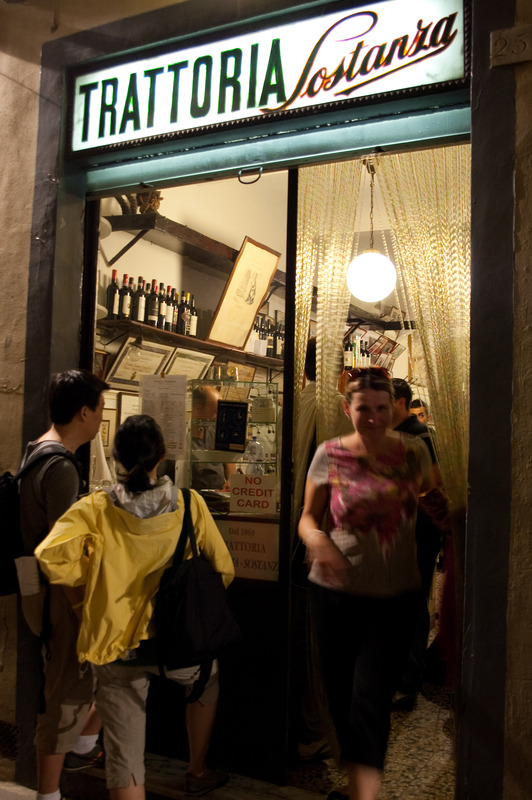 Sostanza has been serving traditional Tuscan food on long communal tables in 1869. The first thing we did when we arrived in Florence was to find this place, or at least my friend Sarah made sure that we did, but unfortunately we found out that you have to have a reservation else they won’t seat you. So we made one for 9pm the following night. It is always advisable to come hungry to Sostanza. This is not the place to grab a fast bite to eat, heck, not much of Italy is built for fast bites so be prepared to spend at least 2 hours with your food and drink. 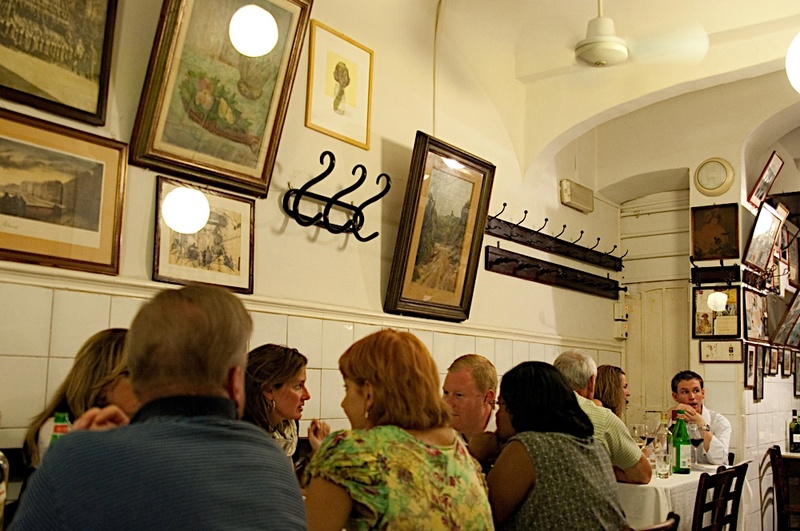 The restaurant was bustling and crowded when we arrived, so I guess the Italians eat late like the New Yorkers too. It felt so homey and welcoming with the hanging beads at the front door and the many postcards from satisfied customers from around the world on the wall. 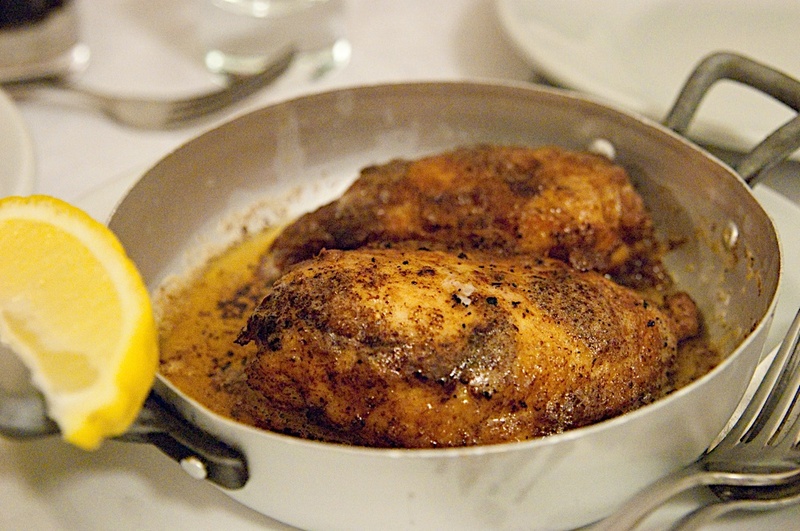 We lost no time in ordering and I (and my friends agree) will have to say that the star of the night was the chicken breast pan-fried and oven-baked in sizzling butter. The meat was extremely juicy and tender and was definitely a perfect end to a long and tiring day. The best piece of advice I ever got from someone regarding eating in Italy was to always order the house wine in any restaurant. I’m not sure if it was because of the fatigue or hunger but the house wine at Sostanza tasted heavenly, crisp with a little hint of spice. I never thought I would say this about any wine, but I loved it.